Governor Wolf has taken the unilateral action to appoint 40 individuals to a “Commission on LGBTQ Affairs” – something no other state has created. There are eight functions of this commission, including “advise the Governor on policies, procedures, legislation and regulations that impact LGBTQ individuals and communities.” They will also develop and recommend to Governor Wolf policy in specific areas such as education. Each member will not receive any compensation but may choose to be reimbursed for travel expenses. 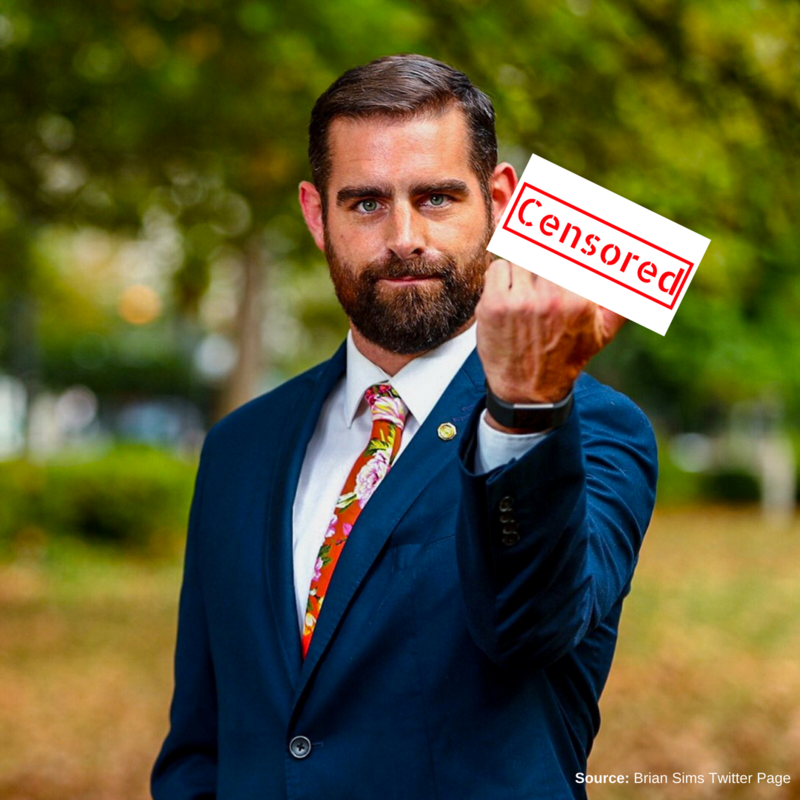 This is State Representative Brian Sims – just appointed to a new commission by order of Governor Tom Wolf to “improve the lives of all Pennsylvanians” on LGBTQ affairs. This picture (which we have censored) is currently pinned to his Twitter page making sure all his visitors see him giving Vice President Mike Pence the finger ahead of a visit to Philadelphia. Three elected state officials – Senator Larry Farnese and Representative Dan Frankel along with Representative Sims – are among the members and all three are the most vocal proponents of what has become known as the Bathroom Bill, proposed legislation (Senate Bill 613 and House Bill 1410) that not only threatens religious freedom but privacy rights of those in Pennsylvania. How heavy of an influence this commission will have on advancing this troubling legislation remains to be seen. Governor Wolf has continued to be an outspoken supporter of the proposed Bathroom Bill, claiming it is a “black-eye” in our Commonwealth’s laws without it. He has also passed several other executive orders that add special statuses of sexual orientation and gender identity and expression into various state policies. If we want to keep Pennsylvania a place where we do not force citizens to participate in events contrary to their beliefs as well as keep men out of women’s locker rooms and showers, we must continue to do all we can to stop the proposed Bathroom Bills from advancing. To contact your State Senator and State Representative to oppose the Bathroom Bills, click here. Dry Leaf Marijuana for Medical Use Now Approved for Distribution in Pennsylvania. Governor Wolf’s administration, approved by Pennsylvania Secretary of Health Rachel Levine, has widened the products available for medical marijuana to now include dry leaf and flower forms. Medical marijuana was signed into Pennsylvania law in 2016 allowing marijuana oils and tinctures for those with a prescription. Patients had not been able to receive marijuana in its dry leaf, which could then be used to smoke versus the already processed oils. As of August 1st, that is no longer the case. Smoking marijuana is still illegal as patients are expected to vaporize the leaves into oils or extracts before use. Recently, Governor Wolf stated he doesn’t “think Pennsylvania’s actually ready for recreational marijuana.” This, despite elected officials like PA Auditor General Eugene DePasquale heavily pushing legalization for recreational use. Multiple bills have been proposed this session in the state legislature for legalizing recreational marijuana but none are expected to pass this legislative session. Freedom in the Balance – Erie: We will be in Corry, PA on Sunday, August 19th at Corry Alliance Church. Come and hear how our freedoms and virtues are being challenged by both society and proposed legislation. Starts at 6:00pm. 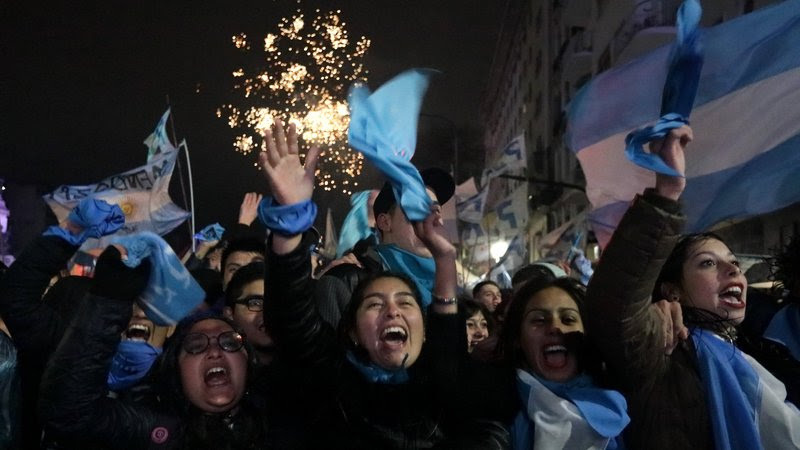 Argentina Protects Life: The Senate in Argentina rejected a bill that would have legalized abortion-on-demand for the first time in that nation. After lawmakers discussed the bill for more than 15 hours, they voted 38-31 against the legislation that would have allowed for abortion in the first 14 weeks of a woman’s pregnancy. This decision could echo across Latin America. Watch the moment life won in Argentina. Voter Guide this Fall: We will have all our information about this upcoming election in our annual Voter’s Guide to be available this October. If you’d like to support our Voter’s Guide efforts financially, click here to make an online donation.